Zats all folks! 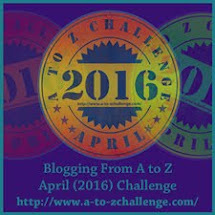 Its Zee end of April's A to Z Blog challenge. Its been fun which is why we do it again and again. Heres to the Galaxy's Greatest Ninjas, Bloggies and Trekkies who beamed by to say hi! Thank you to Blogman's Ambassador Hosts, Alex, Jeremy, Jenny, Jeffrey, J. Lenni, Tim and Rob. comrades be proud during this stellar blogtime! 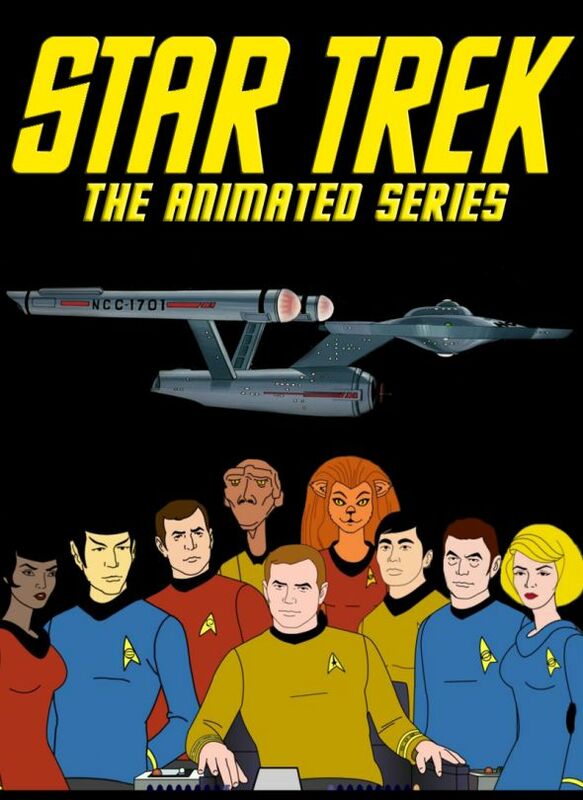 Star Trek TAS "Once Upon a Planet"
Season 1 episode 9 "Once Upon a Planet"
Writers: Chuck Menville, Len Janson. Y is for Yellow Alert. Today, I'm merging two blogfests into one blogfest! Enjoy! Once Upon a Planet is a sequel to the classic series STAR TREK adventure "Shore Leave" written by Theodore Sturgeon. 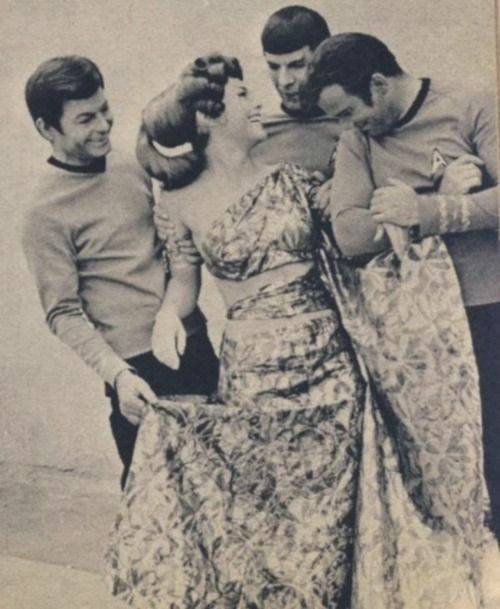 While beaming down for shore leave to the "Keepers" pleasure planet, Kirk, Spock, Uhura, Dr McCoy and Sulu experience fantasies when the power of human imagination is enhanced by an underground super computer! Shooting spears, hovercraft robots, deadly playing cards, a giant cat and fire breathing dragons, all harry the away team. The question is where is the keeper? 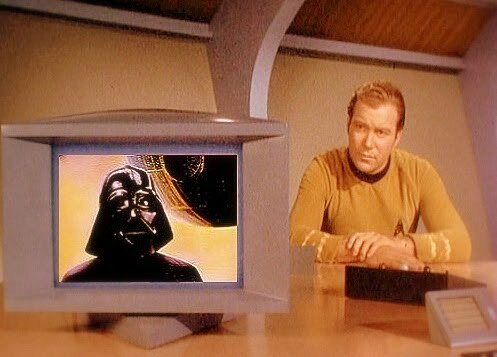 This is another case with Captain Kirk vs the computer. To be fair the Master Planet's Computer is probably having a nervous breakdown. "I monitor any thoughts that are emotionally charged" it says to Uhura while holding her captive. Believing humans to be slaves of the Skymachines (eg USS Enterprise NCC 1701) the Master Computer amuses itself by playing deadly practical jokes. Its a pity the Master Computer doesn't have a pet name like Nomad, V'ger, Oracle or "Banjo Joe." I found myself laughing as I listened to the Master Planets Computer anguishing over serving superior machines! Despite its logic the Keepers computer is plagued with self doubt about its true purpose in life! "Men and Machines co-exist each helping each other." "This is a shock" replies the Master Computer. My friends Armchair Squid, Maurice and Mock are also watching Star Trek The Animated Series. Why not post your thoughts too? What's a good name for the Master Computer? How would you reason with a super computer down in the dumps? Chin wag or pull the plug? Watch Long and Prosper, Trekkers! X is for Xenopolycythemia but what is it? Star Trek's classic "For the World is Hollow and I have Touched the Sky" stars the cranky Chief Medical Officer (played by Deforest Kelley) who ventures aboard a spaceship world in this funny love story. I remember Dr McCoy getting sick but really did any of us have a clue what Xenopolycythemia was? I had to look this one up online. To begin with is Xenopolycythemia a real disease? Online Medical Databases say no, Memory Alpha and Wikipedia say yes. Further investigation reveals "Polycythaemia" is a type of blood disorder characterised by too many red blood cells. So now we know. The plot thickens when we find out "Bones" is suffering from this rare incurable disease but lucky for him Natira (high Priestess to the Oracle) eases the pain. Rick Vollaerts wrote the script giving the good doctor about a year to live. Murderer!!! LOL. It was a neat trick Vollaerts slapping "xeno" on the front of "Polycythaemia" but what purpose did it serve? It sure confused the heck out of me! Xeno Long and Prosper, Trekkers! W is for Wonderful Tina. I want to pay tribute to fellow super-Trekkie, Tina Downey by remembering her at Star Trek Sci Fi Blog. 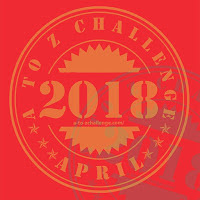 Tina lived life to the full and co-hosted last years A to Z blogfest stopping by and saying hi to everyone throughout the challenge. She recently parted company with us last year having battled Pulmonary Hypertension like a true warrior. I say that from the bottom of my heart. She extended a hand to so many people, friends, family, sci-fi fans, bloggers, struggling writers, authors and trekkies stretching right across the blogosphere. Watching someone you love die from illness is heart breaking so I believe its important to remember Tina for the person she was in life. Tina was a mother, wife, inspiration, a mountain climber, a writer, blogger, lover of sunflowers and proud super-Trekkie. Can you see what Tina's holding high in her right hand? So in closing, I just wanted to share with all of you "super-trekkies" and bloggie buddies out there, Tina's wonderful words of support. She really loved Star Trek, stubborn Klingons and Mr Data from ST TNG. Thank you Tina for being our friend. "They like me, they really like me." Villainous Darth Vader Is Dead? I AM ALIVE!!! CAPTAIN KIRK, DON'T BELIEVE THEM, MY OLD FRIEND. 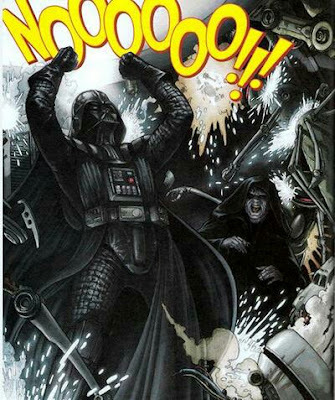 They're calling it, Star Wars: Episode VII - The Force Awakens directed by J.J. Abrams. Lord Vader ticks all the criteria as the perfect machine man on the surface - villainous, decorated general, deep voiced, heavy breather obsessed with the dark arts. Twisted and broken in body and mind, Vader specialized in communicating with spirits of the dead. "The Force is strong in my family...." Will the mystery voice in the Star Wars trailer try to communicate with Darth Vader? Is Darth Vader really dead? For good!!! Forever??? U is for UFOLOGY! Alien UFO's are genuine mysteries to most of us on planet earth or so I thought until I made a little internet discovery. If you're a believer of UFO's on a mission seeking out alien new life, be mindful hoaxes are very common. The need to believe is strong for fans of UFOlogy, the sheer excitement of discoveries can throw even the best of us. 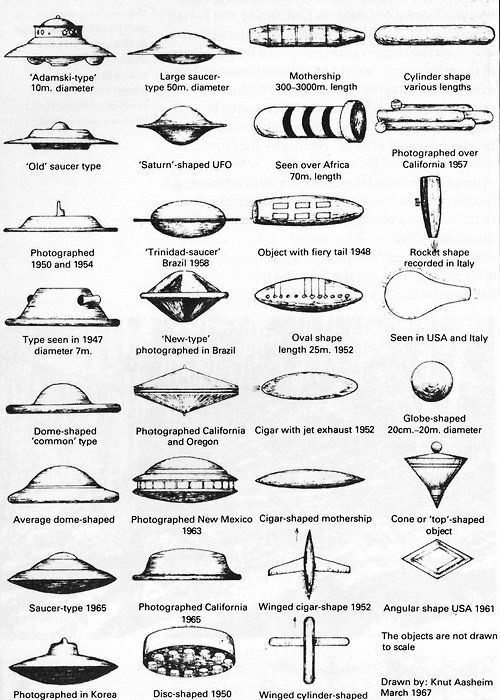 Heres a UFO Spaceship Chart with ships from the 19th century. How many of these many are real? The 1950's pitched the amazing flying saucer craze to record highs. Huge numbers of people were convinced they saw something like the spaceship sighted in Peru during 1952. They say truth is stranger than fiction.... The truth is out there.... Did the US military really cover up the Roswell incident? What were they afraid of? Are we in danger of disappearing in the desert for speaking out? Heres a 65 year old F.B.I. document trying to tell us something. 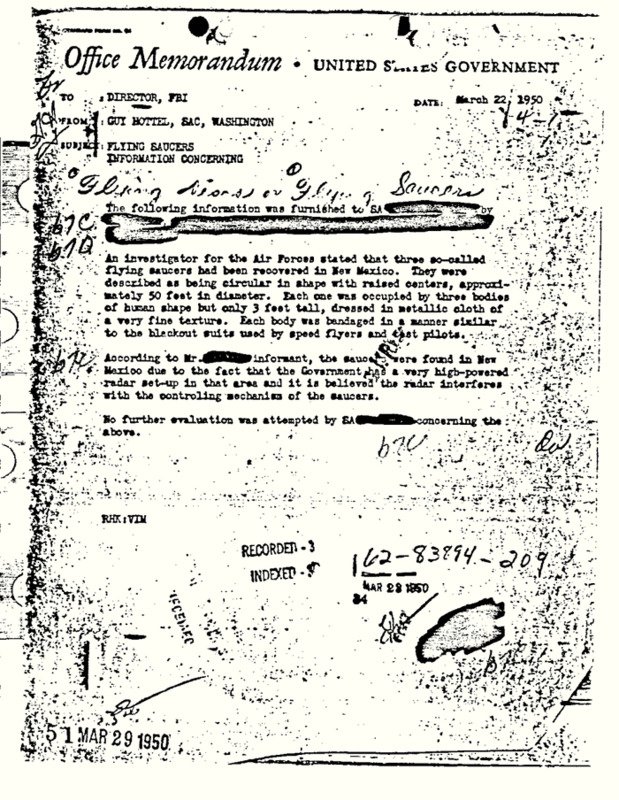 Why is this letter still on the F.B.I. website? Do you believe in conspiracies? little green men? Do you believe in UFO's? 5. Paul Winfield aka Lieutenant Ed Traxler. Guess right or self terminate, trekkers! Star Trek TAS "The Magicks of Megas-Tu"
Aire Date: 27th October, 1973. S is for Satan but who is he? Today I'm sling shooting two Superfests into one Satanfest! 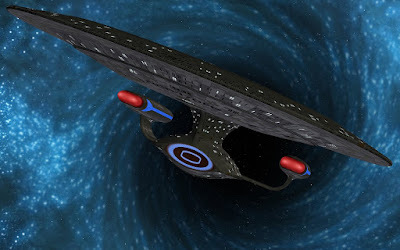 While on a mission an energy vortex catches the USS Enterprise NCC 1701 offguard, catapulting her through the centre of the universe. Out of thin air a devil man/beast appears calling himself "Lucien." Hes nice and friendly and pretty much not what you'd expect to see from a "strong villain" in Star Trek. LUCIEN: Ah, humans. Lovely primitive humans. Can't you do anything right? KIRK: Fighting for air, Captain Kirk gasps the words "please." LUCIEN: Of course, friend. Of course. Rhadamanthus! LUCIEN: Everything is working, my friends. SPOCK: It cannot. It is not logical. LUCIEN: Logic? Whose logic, my elfin friend? MCCOY: Look around you, Spock. Everything is working. LUCIEN: Welcome! I knew eventually humans would come searching for me. LUCIEN: Call me Lucien! Call me friend! Never could I abandon those who come to rollick with me. But not up here. No, no. Let us leave this vessel and go where true delights lie! Lucien explains the power of human imagination acts like magic in this dimension. However all is not what it seems. Long story short, the magic homeworld of Megas Tu has an axe to grind with Earthers. The fun begins when Megas Tu natives become angry at Lucien for schlepping "Evil" Earthers about their tropical paradise and put everyone including Lucifer on trial for witchery. So now the Enterprise crew must suffer or prove Lucien is worth saving! Would you defend Satan? Do you think Lucien is worth defending? Is Lucien a good or bad villain? Lucien Long and Prosper, trekkers. R is for the loving Redshirt Treatment. In keeping with the A to Z festive spirit, why don't we celebrate Star Trek's itchy trigger fingers with some 'Red Shirt' fun. The curse of the Redshirt began with Captain Kirk's five year mission enforcing peace in the galaxy. 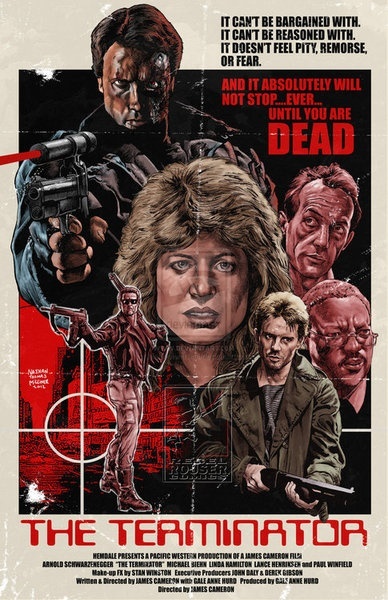 These crewmen live fast and die red. So how do you explain this? Heres a picture featuring healthy redshirts! These guys have obviously never watched Star Trek! In star trek, heres what really happens to redshirts. Wouldn't you agree? Still want the full redshirt treatment? Live Long and Prosper, trekkie. Q is for Q Continuum! Any interest in stargazing at objects in our nightsky? Well, who hasn't heard of Q in Star Trek TNG, right? No he's not popping round for munchies and beer, sorry. But get this, earther Dana Peters has developed a cool freeware app called "Planets" for iPhones and iPads, The Planets app by "Q Continuum" lets you explore a 2D and 3D view of the solar system. I've been nerding out with it. This app is perfect for fledgling astronomers. Perhaps your inner trekker wants to discover which planets or constellations are visible in the sky? Well then call up the Q Continuum!! The Planet app locates celestial bodies in our night skies based on your iPhones current location. You can always turn the planetary locator off if your worried about the FBI politely knocking on your front door, hehe. Which features do you digg in Q Continuum's app? Are you going to try out Planets app? App long and Prosper, trekkies. Star Trek TAS "The Infinite Vulcan"
Robert Justman's "Klingon on the Bridge"
Star Trek TAS "The Survivor"